One of the Latest sounds emerging from New Orleans' Drum Legacy is Joe Dyson. He has been seen with an A list of Brilliant Artist, including Nicholas Payton, Donald Harrison, and Dr Lonnie Smith. 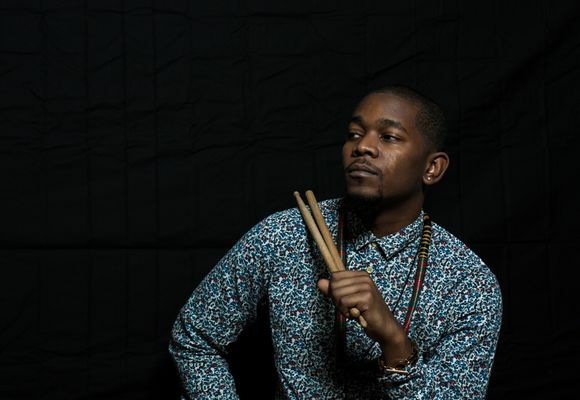 Dyson can also be seen forging a new path for music with Christian Scott aTunde Adjuah's "Stretch Music" creating a new approach to drumming with his "Pan African Kit." He has appeared on over 22 recordings, including recent releases EVOLUTION by Dr. Lonnie Smith, (Blue Note Universal Records), Sullivan Fortner's ARIA (Impulse Universal Records) and Christian aTunde Adjuah's STRETCH MUSIC (Ropeadope Records). Elder Drummers are calling him "The One," the one that will carry the legacy forward.